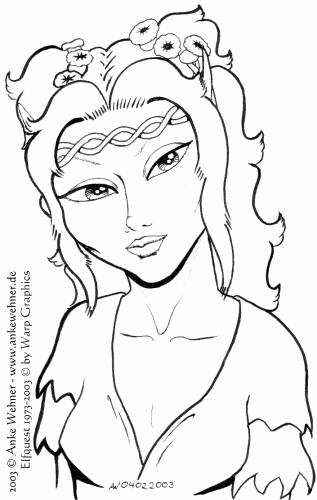 Joyleaf is a character from the comic series Elfquest. 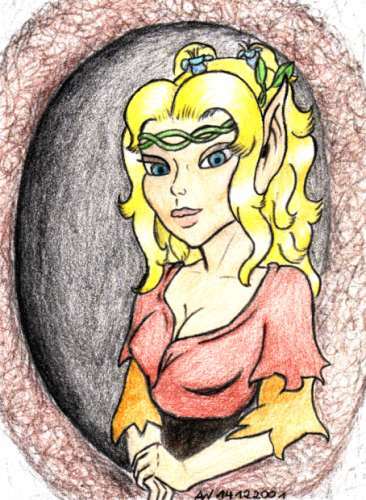 Joyleaf sitting at a window/entrance in a giant tree bole, looking out. 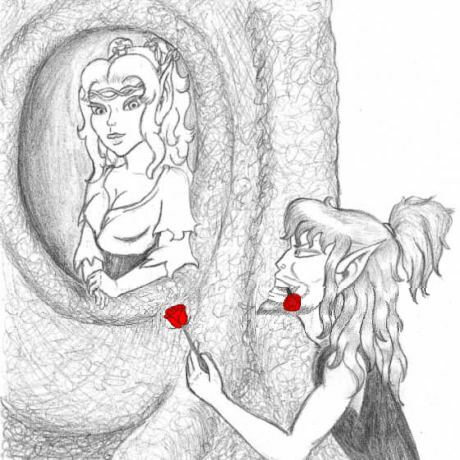 Joyleaf sitting at a window/entrance in a giant tree bole, looking out at Bearclaw offering her a rose.